Ada pertanyaan untuk Panorama Cottage II? Panorama Cottage II, terletak di Legian Bali adalah pilihan yang populer bagi para wisatawan. Hanya 1.00 Km dari pusat kota, lokasi hotel yang strategis ini memastikan para tamu agar dapat secara cepat dan mudah mencapai ke tempat-tempat menarik. Untuk pilihan lokasi jalan-jalan dan obyek wisata lokal, Anda tidak perlu pergi jauh-jauh karena hotel ini terletak dekat dengan Konsulat Spanyol, Konsulat Swiss, Alta Moda Fabric Store and Tailor. Dengan menawarkan pelayanan superior dan sejumlah fasilitas kepada para tamu hotel, Panorama Cottage II berkomitmen untuk memastikan penginapan Anda senyaman mungkin. Hotel ini menawarkan sejumlah fasilitas di tempat untuk memuaskan segala jenis tamu. Suasana Panorama Cottage II tercermin di setiap kamarnya. televisi layar datar, AC, layanan bangun pagi, meja tulis, bar mini hanyalah beberapa dari fasilitas yang dapat Anda nikmati. 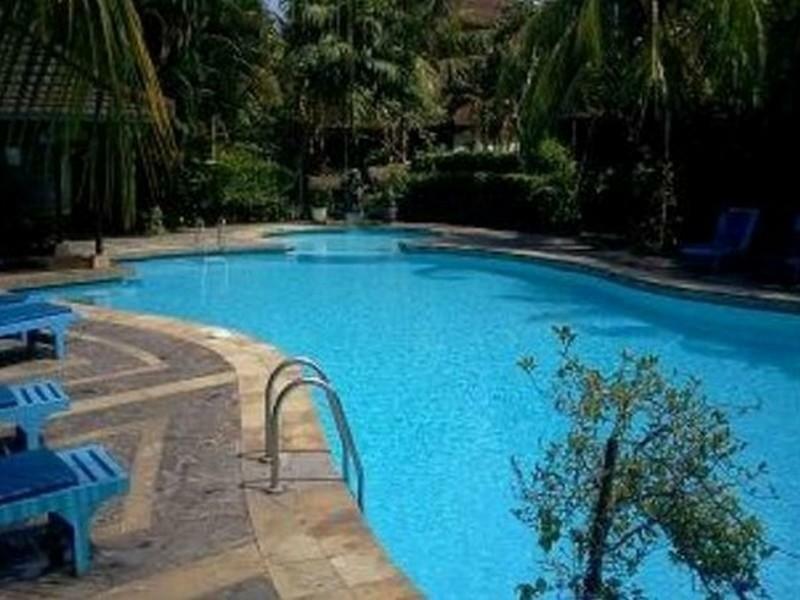 Hotel ini menawarkan berbagai pengalaman hiburan unik seperti kolam renang luar ruangan, pijat, taman. Nikmati pelayanan tidak terbandingkan dan penginapan yang sungguh bergengsi di Panorama Cottage II. 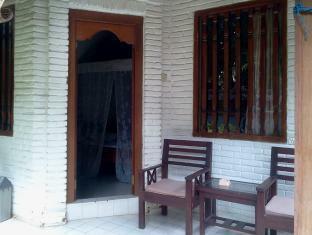 Nice rooms, very nice garden and pool, good location, but very poor breakfast, staff is friendly but poor communication. Out of the way, very quiet, but close to everything.. Lots of people actually live here and its great to catch up with them time and again!! Absolutely loved the peace and tranquility of the beautiful gardens, friendliness of all staff, cleanliness of room, fantastic pool but felt the breakfast was a little lacking in choices. We've stayed at Panorama II a few times now and it is like a home away from home. Conveniently situated to restaurants, shopping and other facilities it is a quiet oasis with, clean, comfortable rooms, friendly unobtrusive staff and a delightful pool in a beautiful garden setting. It isn't a five star hotel - make no mistake - but it is real Bali not the sterile, impersonal stereotype accommodation that could find anywhere in the world. We'll be back! 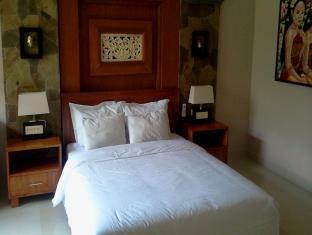 The room was great but the stink of the room lil bit awful,,otherwise the facilities was simply great You guys gotta try ! Enjoyed the green garden and big clean pool. Location is good, the garden blocks most of the traffic noise from the street. 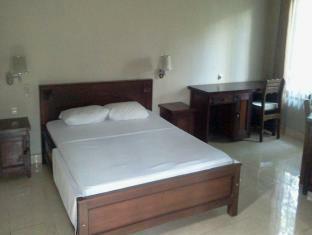 On the other hand, the rooms could use some renovation as it seemed it was not renovated for a long time. We booked Superior room for 8 nights, roof was not insulated and a lot of lizards and insects made their way in the room at all times, day and night. Breakfast is way too minimal and low budget, really don't recommend it. I had a pleasant relax stay. The room was basic but. comfortable. Enjoyed the outdoor shower. Breakfast Ok. The tv had local channels only and a bad reception at that. Something to be aware of, Internet was only available in the breakfast area. The air conditioner was set to the lowest temperature (i.e. 18C but the room temperature remained at 26C because the unit required servicing. The water pressure is the biggest disappointment, which was confirmed by several staff. Most of the time there was no shower or water basin water available, and the toilet could not be flushed after the cistern was emptied. The best times to take a shower were between 1AM and 5AM when most people were in bed. I have used the swimming pool several times before and find it beautiful. There is a bar, but this is manned infrequently. The location is great as it is secluded from most of the traffic, as long as you are staying in the units near the center. The gardens are well kept and there is an abundance of wildlife to listen too. I would return if the water pressure issue was fixed.